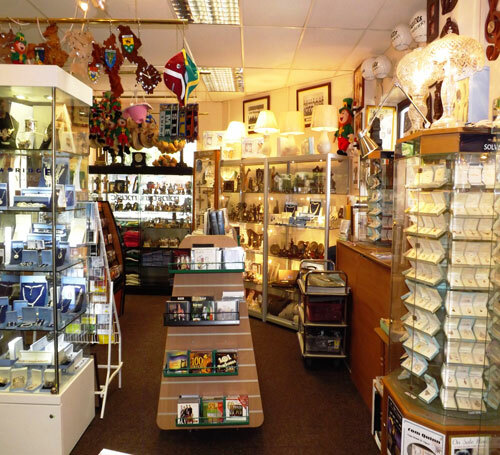 Minstrel Music Irish Music and Gift Shop boasts an extensive range of high quality Irish goods including Irish crystal, china, jewellery, dance shoes and accessories, sports goods, CDs and DVDs and a veritable treasure-trove of Irish gifts and curiosities. 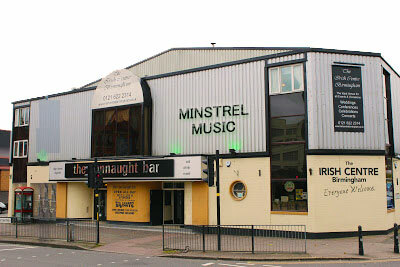 You can find Minstrel Music in the Birmingham Irish Centre, Digbeth. Birmingham. B12 0LN. UK. Minstrel Music was founded by John Fitzgerald and Brendan Shine (Yes, he of the ‘Old Lobby...’) in April 1979 and was originally located on Stratford Road, Sparkbrook Birmingham. Back then Minstrel Music was a pure record shop selling an extensive range of Irish Music with a bit of American Country and a few British pop chart releases. After three productive years John and Brendan ended their partnership in 1982 so that Brendan could concentrate on his Showband career (Brendan went on to enjoy phenomenal chart success on both sides of the Irish Sea) while John relocated Minstrel Music to new premises within The Birmingham Irish Centre. That seems a long time ago now as Minstrel Music has just celebrated its 35th anniversary which was noted by the Irish Post in an article which stated that, “Minstrel Music has now been supplying the best of Irish music, giftware and essentials for 35 years.” Although it should also be stated that there is ‘plenty more to come...’ Minstrel Music has a large mail order client base that stretches to South Africa, Germany and Dubai but is now in the process of constructing a major online presence. 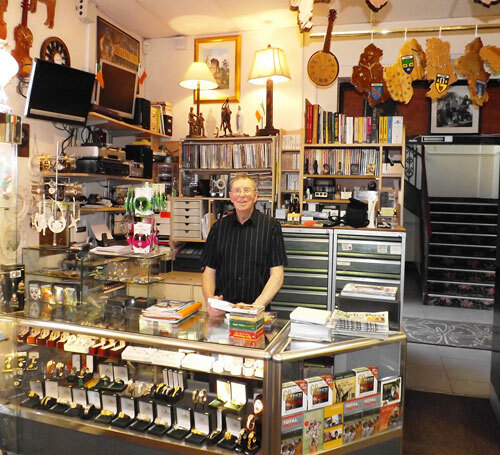 Minstrel Music has established on excellent customer service which has diversified away from music to cater for the changing desires of the Irish community in the Midlands. 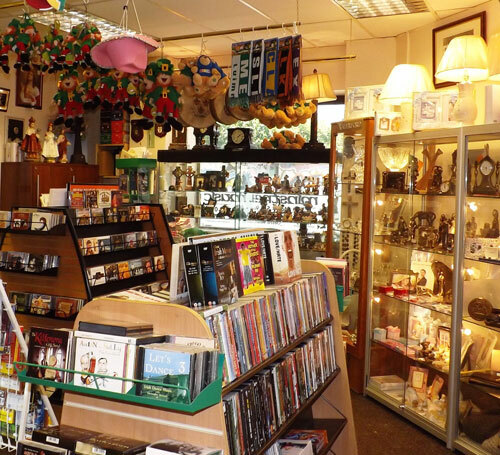 The premises in the Birmingham Irish Centre see a steady footfall of customers who come from all over the UK to purchase from the wide selection of quality items. 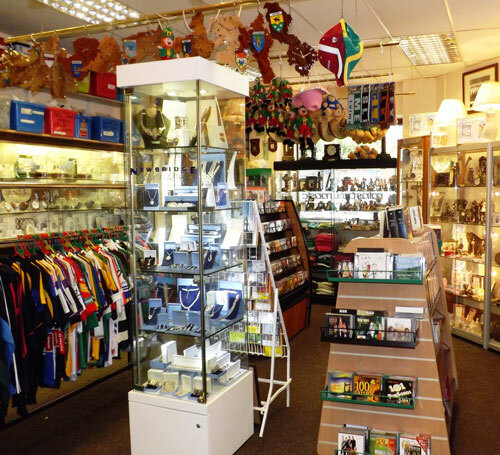 The list of items on sale is exhaustive, here are just a few: Sporting goods and Gaelic team shirts; jewellery from Solvar and Newbridge; Rovada watches; claddagh and celtic jewellery; Waterford crystal and Galway crystal; Royal Tara china and Donegal Parian china; Genesis Fine Arts; Traditional Irish instruments including bodhrans and tin whistles; Irish soft and hard dancing shoes; Religious gifts for first holy communion, confirmation and weddings and a vast array of bespoke Irish gifts.